I LOVE it! 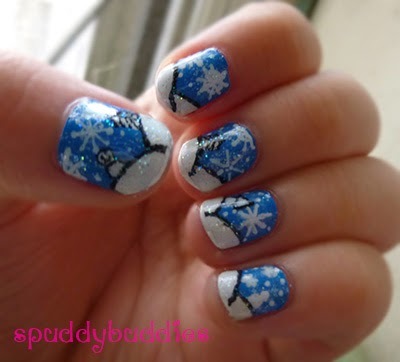 I recently watched Frozen (you should too) and this reminds me a bit of the snowy mountains. 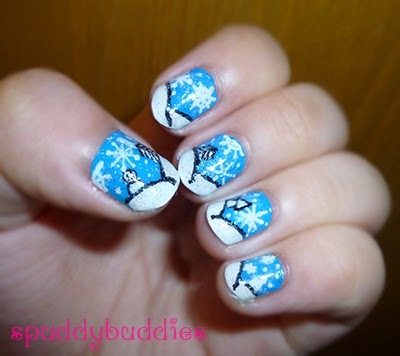 I actually did this design last year so I can't really remember what the blue base polish is but the rest of the design was made using my black and white nail art pens. 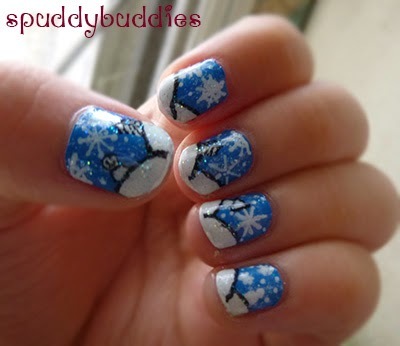 I also added a layer of micro glitter polish to add a bit of holiday sparkle. I think this Christmas design is one of my favorite recreations yet! 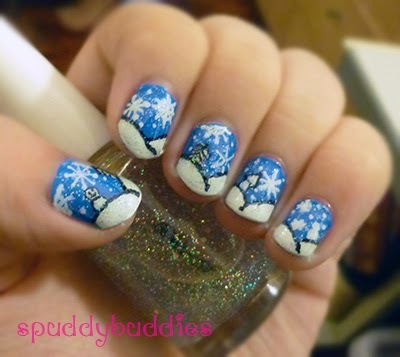 Just looking at these nails makes me want to belt out Christmas tunes. 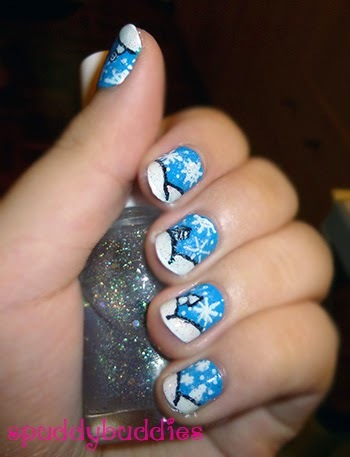 What's your favorite kind of Christmas nail art?